These pictures I took at the Arab Camii, so named because in the early 16th century it was taken over by the colony of Moors who had recently been expelled from Spain and settled in this district. 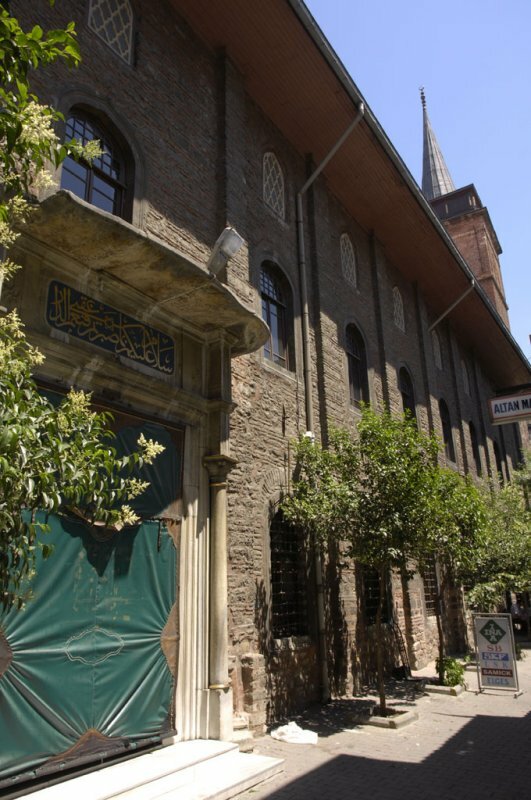 The Strolling through Istanbul guide I quote from indicates it started as a church dedicated to St. Dominic built in 1323-1337. Originally a Gothic church is has been reconstructed (partly after a number of fires) many times.